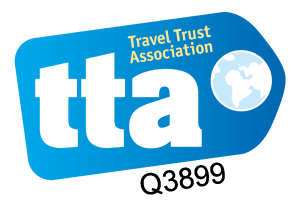 Get the best of both worlds with this fantastic Escorted Holiday. 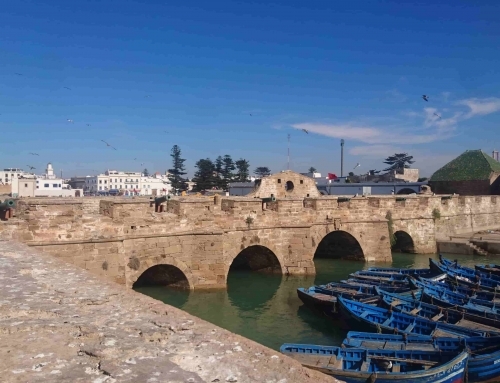 After time to relax and explore Marrakech, take the journey through the High Atlas Mountains into the Sahara Desert before heading out to the sweeping beaches of the Atlantic coast and the laid-back, arty fishing port of Essaouira. Your driver with 4×4 will pick you up to take you through the Atlas Mountains to the UNESCO World Heritage Berber town of Ait Ben Haddou for lunch and to explore the town. Continue to Ouarzazate where you will stay in our selected boutique hotel with a pool. 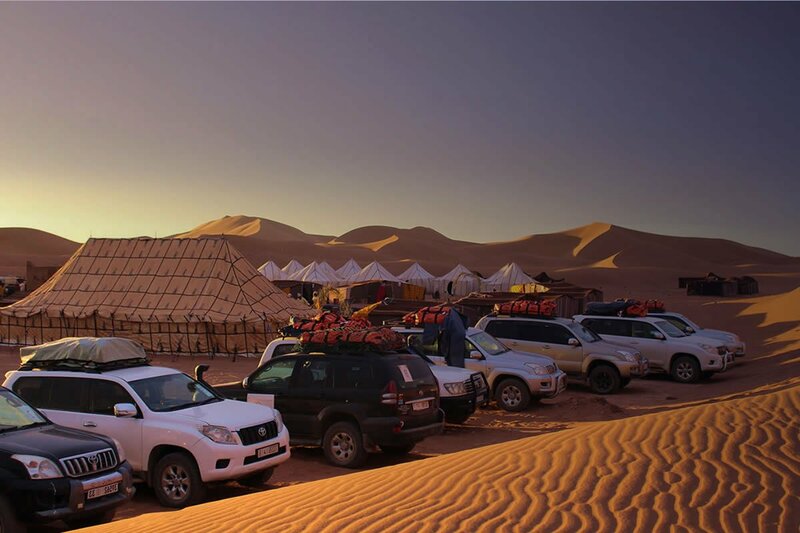 After an exciting off-road drive into the dunes of the Sahara Desert you will arrive to meet your camels for a short trek to our Nomad Camp. 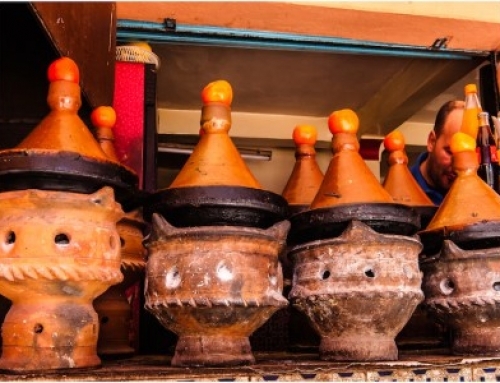 Enjoy delicious Moroccan food, dining under a night sky full of stars. 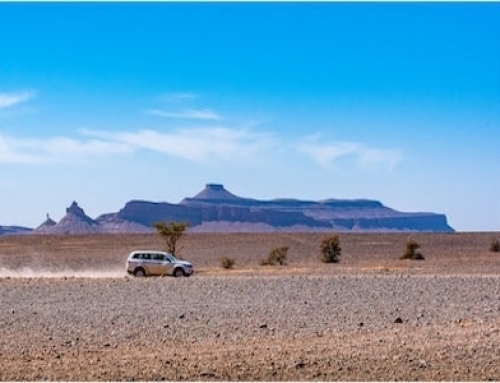 After sunrise, your 4×4 driver will take you out of the desert via a different route, across the salt lake of Iriqui and on to the medina town of Taroudant to stay in our chosen Riad with a pool to relax after your journey. 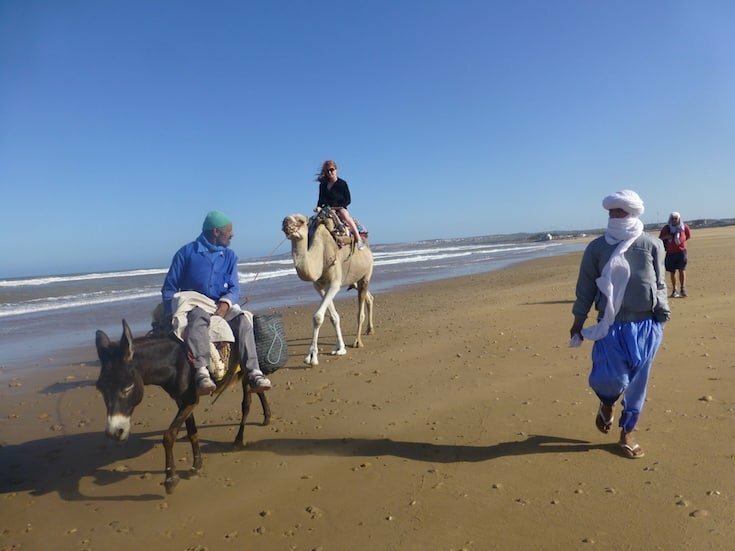 Continue your journey to the Atlantic coast and take the road north of Agadir to Essaouira. This is a vibrant fishing port set on long sandy beaches made famous by Jimi Hendrick’s ‘Castles in the Sand’. 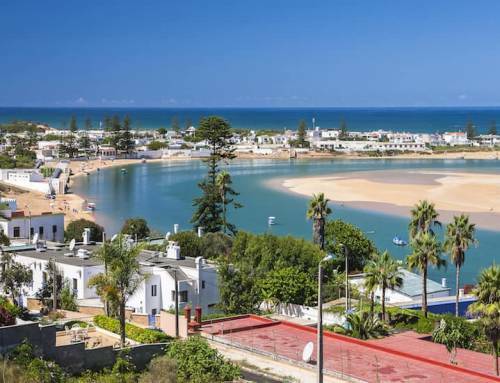 Spend the day at your leisure: Explore the medina, have lunch at a restaurant on the beach near to the optional extra activities: camel trekking, surfing, horse riding & quad biking or spend time by the pool at your hotel. 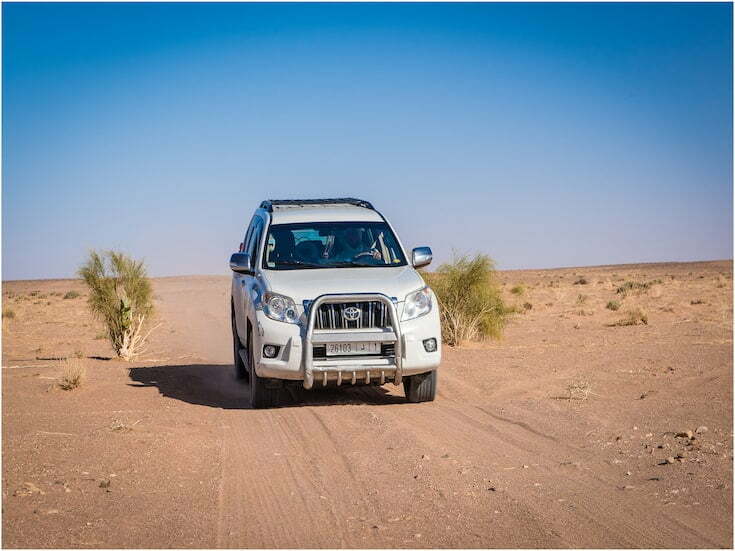 Your driver is on hand throughout your stay in Essaouira to book any activities and to organize your days. Return to Marrakech in time for lunch and relax on the terrace of your Riad. Explore the souks and sights of the ancient city of Marrakech medina with a certified guide before your transfer to the Airport.